VANDALIA — Vandalia’s Alina Lewandowski will accomplish a significant achievement as a result of her hard work and fierce determination on July 21. Lewandowski will be participating in the Reebok Crossfit games in Carson, California. Lewandowski, 15, attends Oakwood High School, but attended Morton Middle School and Demmitt Elementary. She is currently ranked sixth in the world in the 14-15 year old female group heading into the games. 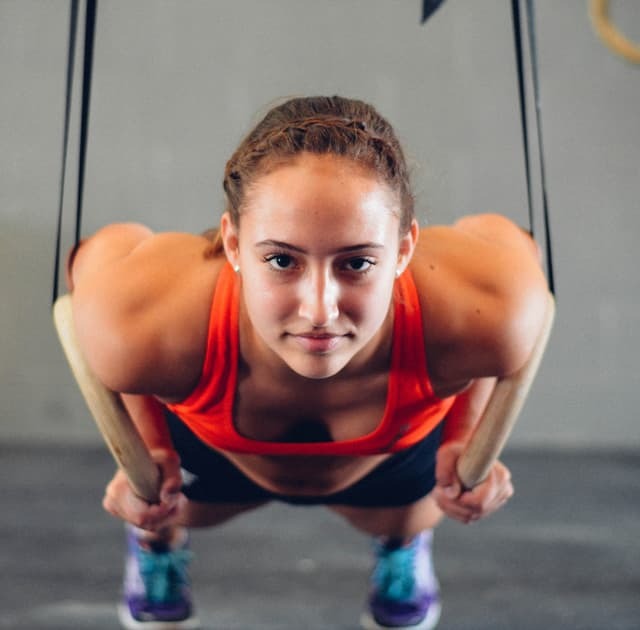 In talking to Lewandowski, it didn’t take long to realize the true passion and focus that she puts into Crossfit which has led her to this point. Lewandowski began her journey in gymnastics. Beginning at age 7, Alina showed her natural talents and continued to excel. At the age of 10, Alina developed a complication with her wrist that left her out of competition for a year. Coming back as an 11 year old, Alina was determined to pick up right where she had left off and continue to succeed. Alina did nothing less as she became a Level 7 gymnastic state champion. Injuries had always plagued Lewandowski though, forcing her to end her gymnastic career after having both hips operated on for FAI (Femoral Acetabular Impingement). Alina would not be denied though, and she got herself back into excellent shape again after extensive rehabilitation at Ohio State University. Just five months later, she was cleared to participate in Crossfit. Soon after, Lewandowski decided to join an organization called Crossfit Excess in Vandalia. Alina dove right in and solely concentrated on perfecting herself and her skills in a new avenue. Just 13 months after starting her Crossfit journey, qualified for the Reebok Crossfit games. When she is not excelling in Crossfit, Lewandowski is a typical teenager. She is an active member in Oakwood Giving, a program through school which helps the community. Additionally, She is a big New York Yankees fan, loves science in school, and travels to Siesta Keys when she isn’t grinding in the gym. Alina plans to study pre-med after high school and wants to be a surgeon. “I like to hang out with friends and find ways to volunteer,” she said. Alina will be participating in the Reebok Crossfit games in Carson, California on July 21-23. Regardless of how the games go for Alina, her accomplishments thus far are truly remarkable. Gannon Godsey is a senior at Butler High School. Reach him through the Drummer office at 937-684-8983.